Richard and Ros purchased the site located within the picturesque Northumberland Town of Rothbury. 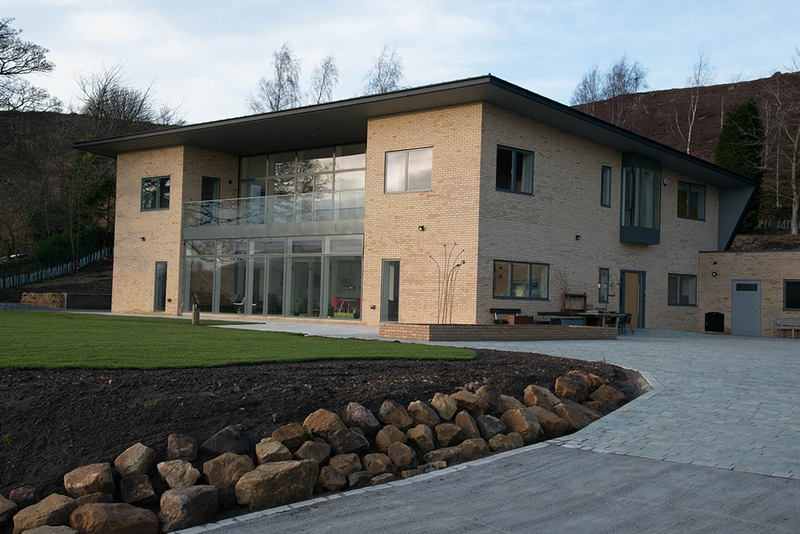 The aim to create a unique, modern and sustainable home that provides an enjoyable living space, that also maximises the stunning views across the rolling hillsides of the Northumberland Countryside. The project brief was to deliver a sustainable home that reduces the energy consumption of a modern contemporary home. The priority was to accomplish this without compromising the enjoyment and wellbeing for Richard, Ros, and future generations. The location of the house on the site, benefits from an elevated position. The principle and driving design feature was to capitalise the panoramic (east, south and west facing) views, whilst flooding the house with natural daylight. The house was designed and built to include all aspects of sustainable design. This includes the use of the latest building & construction methodology through to the integration of microgeneration. 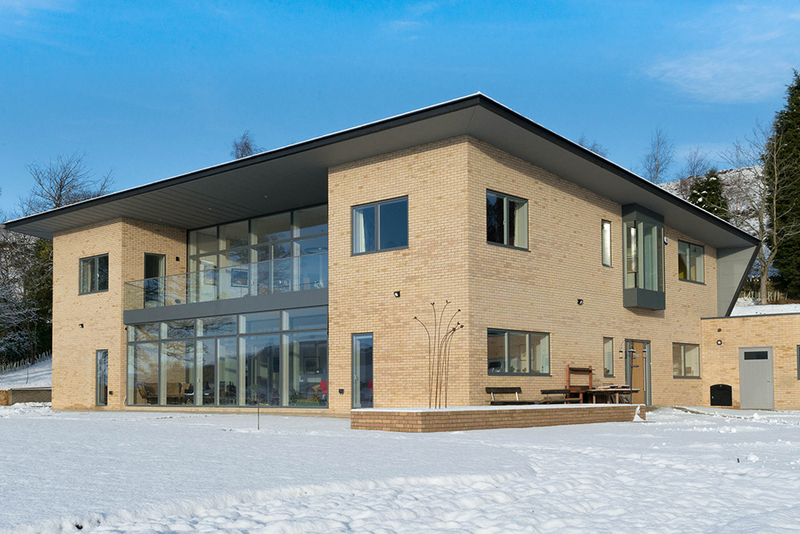 The combination of a highly thermal, airtight fabric achieved by the SIPs structure and using the latest technologies such as; MVHR, Air Source Heat Pumps and a stand alone PV array, the property achieved an EPC 97% A SAPS Rating. The aim of the design of the house was deliver not only a sustainable house, but a striking, one off design that Richard and Ros enjoy and are proud to live in. The attention to detail both externally and internally was an important aspect of the design, and included features such as; the large overhang roof, bespoke staircase and curved kitchen, combining the use of the best materials. 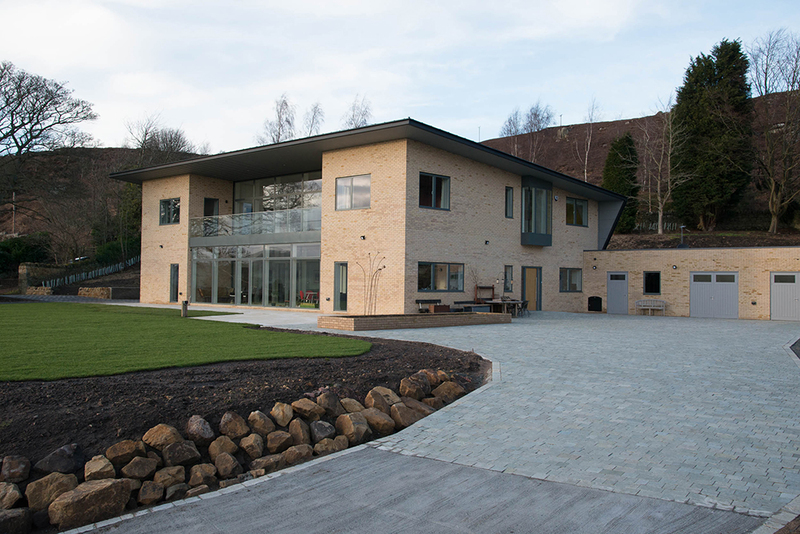 This individualistic home was achieved through a collaborative partnership between Richard and Ros, Model Projects (the Architectural Designers), Smailes Construction (the Main Contractors), Clay Sips and and all the other contributors involved in a fantastic project. The site itself had many challenges that required careful planning, these included; the location at the top of a hill, through to the creation of 4 meter high retaining wall carved into the Northumberland Hillside. At the initial design stage, it was decided to use SIP's. These would provide a highly efficient fabric that is super air tight. Following this we explored various options for the choice of glazing and microgeneration technology. 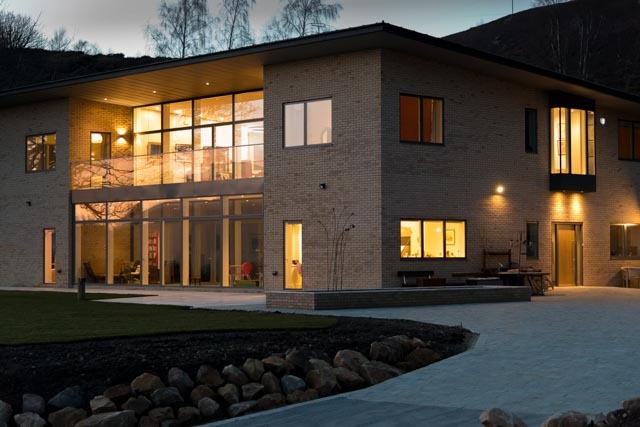 The use of MVHR, Air Source Heat Pumps, PV Solar Array and a super airtight house has delivered an EPC performance of 97% A, alongside a contemporary design that maximises views. The choice of SIPs as the main building methodology allowed us to meet the design criteria. Careful planning and collaboration with Clay Sips and the engineers allowed us to overcome many structural challenges, which included, the large overhang roof and the substantial open-plan spaces internally. A hybrid of internal steel frame and glulam beams delivered the desired design. The use of SIPs ensured the house was manufactured off site which reduced the construction time of the superstructure. This was an extremely important aspect when constructing a house at the top of a hill during the inclement Northumberland weather. One of the critical elements for the success of the project was the use of BIM (Building Information Modeling). BIM was used from the initial concept stage through to planning, technical design and onsite management. This allowed for efficient onsite working and collaboration between client, Model Projects based in London and the main contractor Smailes Construction based onsite in Northumberland. Another key aspect was the modelling of all the details of the house from the structural superstructure through to the modelling of MEP (for example the ductwork for the MVHR), this in turn reduced potential issues onsite. Importantly the house matches Richards and Ros’s key brief. This was to create, a one of a kind, stand alone, architectural design that is not only sustainable, energy efficient, but also is low maintenance and durable for future generations.